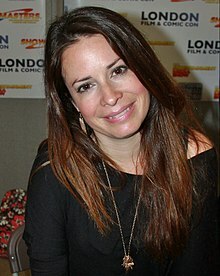 Holly Marie Combs (born December 3, 1973 in San Diego, California) is an American actress. She is best known for working on the television series Charmed. Before Charmed, she work in the TV series Picket Fences. Wikimedia Commons has media related to Holly Marie Combs. This page was last changed on 31 October 2017, at 02:10.